Although a cat has thick fur to protect himself from the cold, a tropical domestic cat has already adapted himself to the heat by his hair moulting, and licking his body. When the weather suddenly gets cold, it’s easy for a cat to get sick. 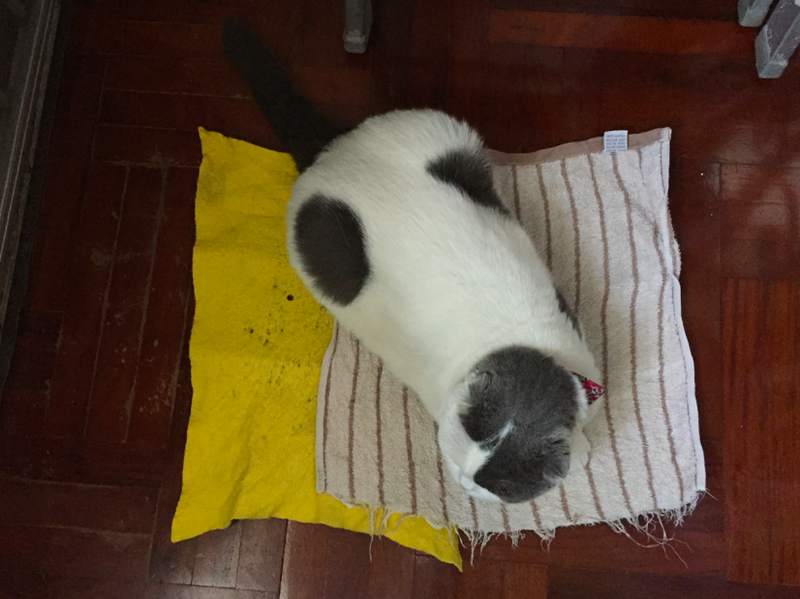 Gomez, our princely cat can feel the freezing cold wind before I prepared her proper cushion. He found himself some fabric to lie on before letting his belly touch the floor. 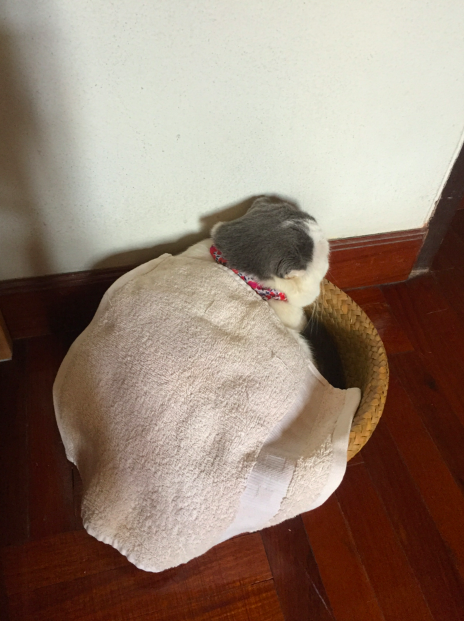 Well, I offered him a handmade basket so he could curl up in there and keep warm. I cover him with soft fabric. Cats need a warm place to sleep and keep their strength. Neck, belly and chest are sensitive spots for both cats and humans that need to be taken good care. 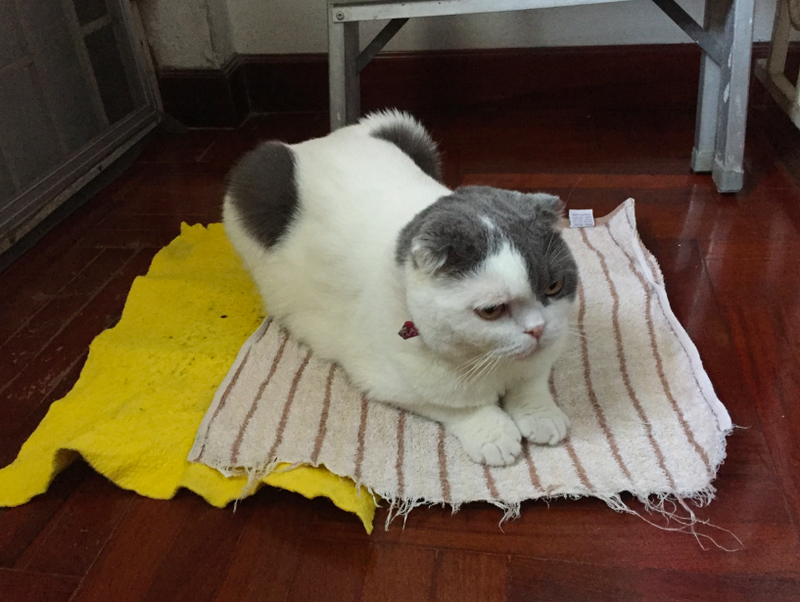 The more weather changes, the better we should take care of the cat and ourselves.